Valen Low became the under-80kg champion of FitX Invitational Arm Wrestling Cup 2014 in Australia after beating top arm wrestlers from Australia, New Zealand and Malaysia. Valen Low Wai Luen, 20, a student at Republic Polytechnic, is a top arm wrestler in the Malaysian arm wrestling scene, conquering competition after competition across the causeway since 2011. Three years and 17 championship titles later, he picked up his latest accolade, the Under-80kg champion of the FitX Invitational Arm Wrestling Cup 2014. The international event was held in Melbourne, Australia, in March. Valen came in as the youngest competitor at the competition. After it, he was crowned the strongest. Pinning down the arms of his regional counterparts from Australia, New Zealand, Malaysia and Singapore, he established his status as one of the top Arm Wrestlers in the region. 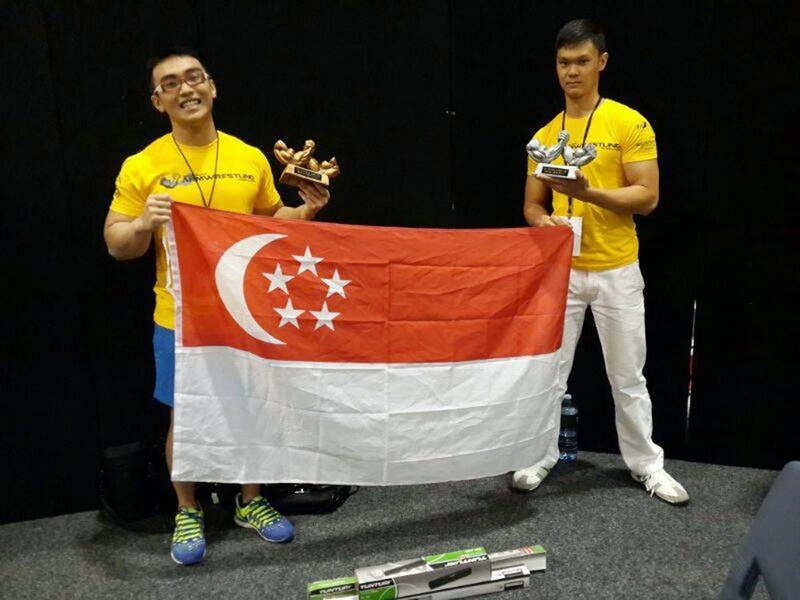 He smashed his target, beating his opponents convincingly before progressing to the finals where he faced fellow Singaporean arm wrestler and training partner, Melvyn Loh Hao Jie. But Valen is not letting this victory and praises get to his head. He remains grounded on his abilities. Valen said: “I think I need another 10 years of training.” He puts his words to action as he stretches to prepare for his workout after the interview. “I am not only willing to put in the effort, I am willing to do whatever it takes to beat the Russians (one of the stronger arm wrestling nations) and be on top…I hope to be the Asian and World champion, and be one of the strongest in my weight class,” he elaborated. Melvyn, 21, a full time NS man, eventually lost to Valen, but the friendly banter between the training partners was evident when Melvyn wittily said “good luck to me” when the commentator asked him for words to share with the crowd before the finals. He was humorously addressing Valen’s arm wrestling abilities having arm wrestled Valen regularly. 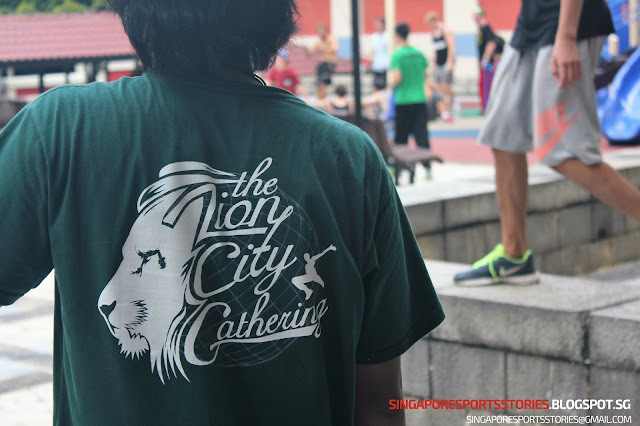 The pair both hail from Singapore’s only and independent arm wrestling club. On competition day, Melvyn and Valen are adversaries who lock arms in a battle of strength and technique. Off it, they are buddies who share the same passion. Valen, affectionately known as “Smiling Panda” by his teammates, organises training sessions and strive to help his fellow members to improve. The club, about 10-member strong, trains together two to three times a week in the humble hall of Valen’s home where a dedicated arm wrestling table is present. Valen’s brother Kenji Low Wai Chuen, 19, student, observes that the arm wrestling team’s training sessions usually have a “friendly atmosphere”. The atmosphere at trainings may be friendly but it does not conceal the high intensity of their arm busting sessions. Melvyn shared that during training sessions, the members focus on competition simulation, fast and hard hits, and strap work to gain an edge against their Malaysian counterparts. By the time the arm wrestlers are done, they are left with sore forearms and wrists. On top of these sessions, Valen makes it a point to hit the gym regularly to ensure he does not suffer from overuse injuries from arm wrestling training. “I will have around 4 to 5 gym sessions a week which I will train my different body parts including my legs.” Valen said with a laugh, poking fun at arm wrestling stereotypes. So when the opportunity to compete and meet top arm wrestler, Devon Larrat at FitX in Melbourne, Australia, arose, the pair took it gleefully, paying for their own air ticket just to compete and learn from the best. Devon Larrat was the guest referee for the competition and after locking hands with the duo, he recognised Valen and Melvyn’s potential to excel in the sport. He admitted that his goal is not easily attained and acknowledged that tough work awaits him in his journey. But when asked what he thought the toughest part about arm wrestling was, he impressively answered: “The toughest part of arm wrestling is not being able to arm wrestle," as he flashes his contagious smile and laughs before pacing towards the gym. Check out highlights of the FitX Invitational Arm Wrestling Cup here.